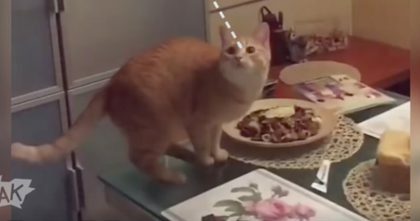 When Kitten Notices Human’s Nose, The Reaction Is PRICELESS… She’s Completely Enthralled, Awwww! This little kitten has never noticed her human’s nose before, so when she sees it for the first time? The little bundle of fluff is completely mesmerized and can’t look away! 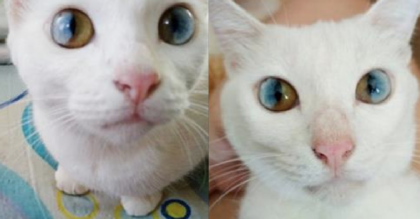 The cute kitty is named Hope – and Hope just loves playing with her new nose toy! She can’t stop batting the strange thing with her paws…what a cutie pie. Awwwww! 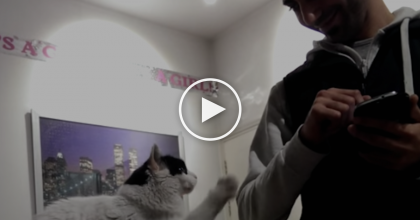 This kitten is just the CUTEST—SHARE this adorable video with your friends online! 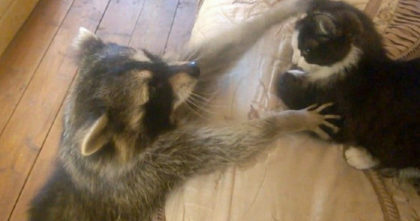 Raccoon Walks Up To The Sleeping House Cat, His Next Move Will Leave You In Stitches!